Preface: My cousin Pat Forrest Collins recently sent me some old historic family documents. Among them were three separate accounts of the life of my 3x great-grandfather Dr. Alexander Forrest about whom I have written before. These documents have some conflicting details, and some mistakes, but generally they provide the kind of human details that are only passed down through a family and cannot be learned from census, birth, and death record. One of the versions was written by his grand-daughter Jean Fairbanks Forrest [1880 – 1962, daughter of my 2x great-grandfather Rev. John Forrest], and as such is quite valuable in terms of it being a version of his life as told by his own children. I’ve amalgamated, augmented, and edited these three accounts to create this version of his life story. The Forrest family is Scottish in lineage, but family legend says that the family originally came from France and were called “de Foret”. It is said that the de Foret family came to Scotland with William the Conqueror in 1066. He was baptized on the 21st of April. His father, also named Alexander Forrest [b 1760], had married Catherine Young in Cambusnethan on 13 June 1790. Alexander Forrest Sr. was a mill-owner, and his wife Catherine helped with the family business. Alexander was the sixth of seven children born to Alexander Forrest Sr. and Catherine. They were: James [1791 – 1809], Gavin [1792 – 1848], Unknown [b ~1794], John [b 1796], Mary [b 1800], Alexander [1806-1875], and Helen [b 1808]. Most of the children’s birth/baptism records were helpfully noted with, for example, “their 4th child”, so we know there weren’t other children born in between. Gavin was their 2nd, and John their 4th, so there is one unknown child born about 1794. Alexander’s father died on 12 April 1815 when Alexander was only 9 years old. His mother Catherine and possibly another son took over the family business. It’s not explained exactly how, but after her husband’s death Catherine had been left “in comfortable circumstances” and Alexander was sent to school in Lanark at an early age. His teacher there was renowned in that region of Scotland as an instructor in Latin and young Alexander was one of his best pupils. He became almost as fluent in Latin as in English, and in later years would gather a large personal library of Latin literature. He read Latin texts as a recreation until his death. Alexander began his studies of medicine at the University of Glasgow in 1823 at the remarkable age of 17, studying with Drs. James Jeffrey [Anatomy] and Thomas Lyle [Pharmacy]. When he completed his courses in 1825 he was too young to graduate, so his mother offered him a choice of spending a year in Paris or a year in Edinburgh. He chose the latter and studied at the University of Edinburgh from 1826-1827. When that year was completed he received both his M.D.C.M. (Medicinae Doctorem et Chirurgiae Magistrum, or Doctor of Medicine and Master of Surgery) from Glasgow and his L.R.C.S.E. (Licentiate of the Royal College of Surgeons of Edinburgh). It was Alexander’s intention to go into the Royal Navy and receive his commission after he graduated, but while he was on the reserve list he was appointed as physician to the Carron Iron Works at Falkirk in Stirlingshire, Scotland, which was the largest iron works in Europe. The cannon for the Royal Navy were made there. Dr. Forrest was quickly able to grow his practice to the point that it gave him a “respectable income”. Several accounts mention that he did work as a surgeon in the Royal Navy about 1830. Reports conflict on another key part of this story, namely, how exactly Alexander Forrest met his wife Barbara Ross McKenzie. However, all three versions of the story maintain that this time period during the sea voyage and immediately after the shipwreck was when they met and fell in love. Barbara was born in Nigg Parish of Rosshire, Ross and Cromarty, Scotland on 3 Jun 1805 to John McKenzie, a weaver, and his wife Isobella Ross. It is generally agreed that Barbara McKenzie and her brother Rev. Hugh McKenzie were passengers on the same ship. One version mentions that they were traveling from Scotland to Newfoundland “to be missionaries to the Indians”, however, Hugh was, in fact, appointed to be minister to Wallace, Cumberland, Nova Scotia by the Glasgow Colonial Society.] 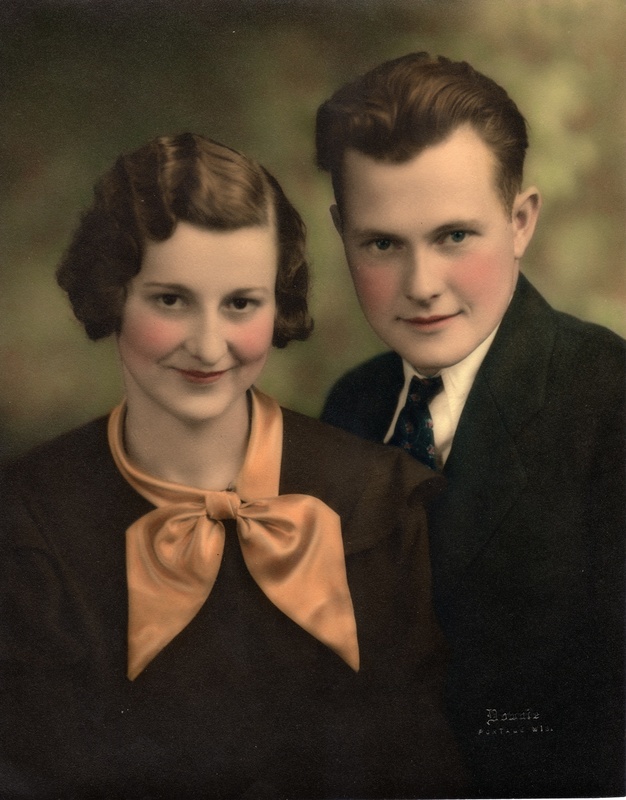 Alexander and Barbara fell in love during the voyage and subsequent long period adrift on the sea. Most version also agree that they were married on the Island of Mull while repairs were being made to their ship. However, mention was also made that Alexander returned to Scotland after the accident and married Barbara just before heading out for a second voyage to Nova Scotia. The text of William Gregg’s “History of the Presbyterian Church in Canada” indicates that Rev. Hugh McKenzie set sail for Nova Scotia in September of 1831 and “was driven back by a severe storm, and he remained in the winter months with his friends in Scotland. He left the next spring, and arrived in Nova Scotia in May, 1832”. So it’s possible that Alexander and Barbara did not wait in Mull while the ship was refitted, but rather returned home and set out again in the Spring after they were married. Further complicating this story is the fact that a letter exists from Barbara’s father John MacKenzie, written in March, 1831, where Barbara is described as being at Harthill, Lanarkshire, Scotland. This could be how Barbara and Alexander met, since it’s so close to Alexander’s home town, or could indicate that they were staying there together. It’s hard to say just from this one line. 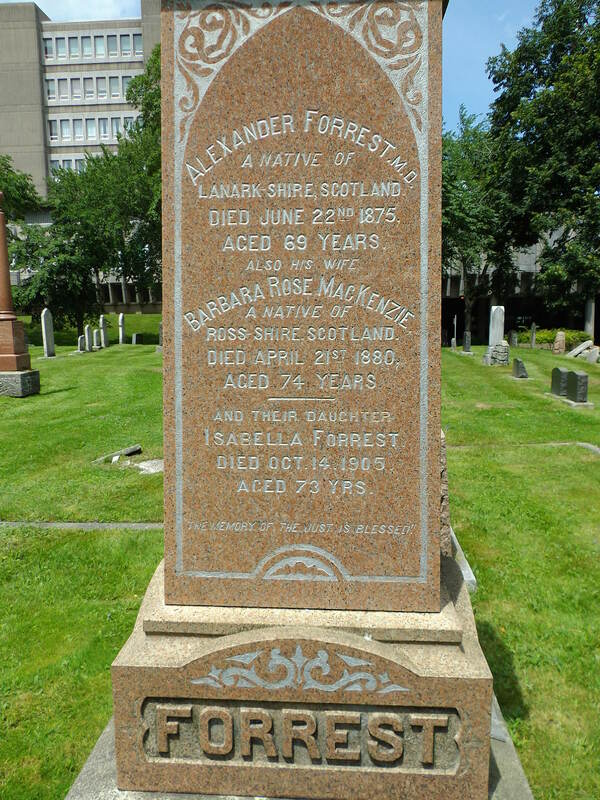 Whatever the facts of their meeting, Barbara Ross McKenzie and Alexander Forrest were married on 3 Jan 1832 when the groom was 25 and the bride was 26, and by October of the same year they had settled into their new home in New Glasgow, Nova Scotia, Canada. By all accounts it was a hard life for the young doctor in his new homeland. Dr. Forrest’s practice covered a great deal of territory, “[it] extended over the eastern half of Pictou County as far as St. Mary’s in Guysboro, and almost down to Antigonish. The roads were terrible.” You can imagine his travels far and wide on muddy, rutted roads on horseback. In addition to his medical practice, Alexander taught at the New Sabbath School. After more than two decades of hard work, Alexander finally made the decision to move his family to Lunenburg, Nova Scotia in 1853. The citizens of New Glasgow were saddened to see such a beloved figure leave, and they presented Dr. Forrest with a gold watch with matching gold rings for his family as a gesture of their gratitude for his faithful service. It was in Lunenburg that his son (and my great-great-grandfather) John Forrest would meet his future wife, Annie Prescott Duff, whose father, the renowned Rev. William Duff, was the minister of St. Andrew’s Presbyterian Church there. 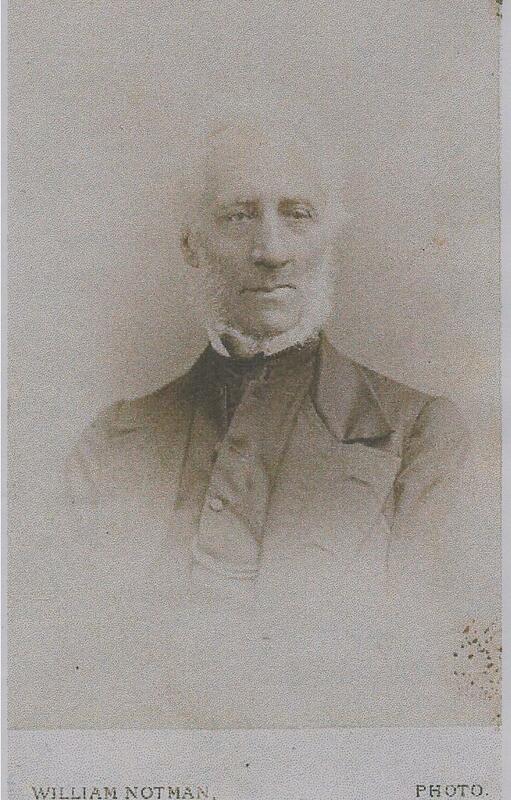 In 1854 Alexander became one of the founders of the Medical Society of Nova Scotia. The family remained in Lunenberg for six years, then left for Halifax in 1860, where they are listed in the 1861 census. Dr. Forrest was buried in the Forrest Family plot at Camp Hill Cemetery in Halifax, Nova Scotia. His wife Barbara Ross McKenzie died on 21 April 1880 in Halifax, and was buried next to him. Time for another family legend. This one concerns my great-great-grandmother Ottelie “Ottelia” Zierke. 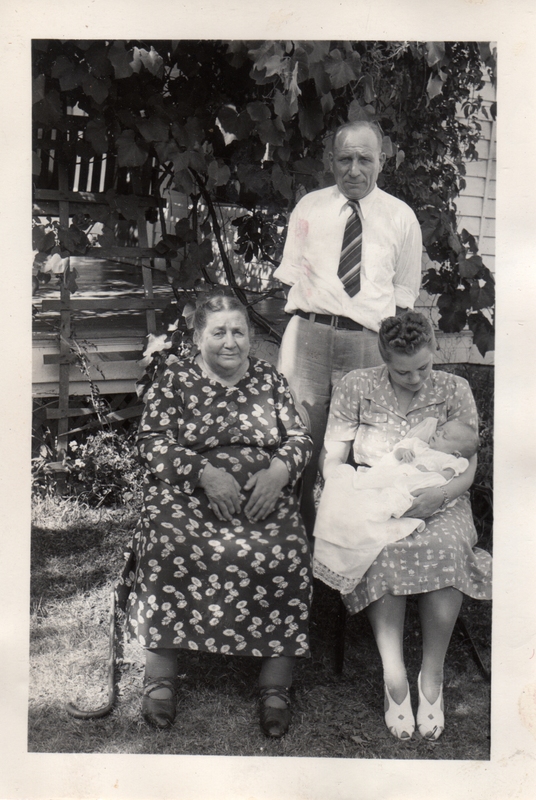 Four generations: Ottelia Zierke, Edwin Schmidt, Mabel Schmidt, Kay Johnson, 1939. My grandmother was a healer. She could put her hands on people and cure them of illnesses. One thing they would do is to bring a recently-deceased person into the house and there would be a ceremony where she would touch someone with an affliction, like a birthmark or some illness, and then touch the dead person, and she would transfer the ailment from the living person to the dead person. There was some kind of prayer or something that was said in German. One day when I was a little girl I was playing in the barn on our property. There was one part where there was a low sort of a half-wall that went along. I was walking along the top of it like a balance beam when I lost my balance and fell into a pile of junk that was accumulated at the base of the wall. There was a broken wine glass in the pile of junk and the sharp point of the broken stem of the wine glass went right into my temple. I got up and it was just gushing, spurting blood. I put my hand over it and started to run toward home and my mother, but something told me to stop and go to my grandmother’s house instead. [Ottelia’s home was next door to the home of Edwin and Olga Schmidt, my grandmother’s parents.] I ran into my grandma’s kitchen. She knelt down and put one hand on each of my temples for a minute and the bleeding stopped immediately. She supposedly had a healing touch and I recall her being bed ridden and people coming to the house to get healed. When she laid hands on people I remember she was praying or saying these words and I am not sure if it was in German or English. Yes, I have seen Ottilia heal someone years ago. If I recall correctly, they called it “blowing”. One time when my Dad was sick in bed and apparently delirious, Grandma put her hands on him and said words I couldn’t understand. I would guess I was a little over 10 years old. I understood that she also did this with a woman from Schofield called Grandma Achterberg. My mother did recall that [Ottelia] was a healer but she called it “behexing”. She remembers Ottelia saying that she could pass along her gift, but it needed to pass from woman to man. She passed her healing onto Otto Preilipp [Otto was the son of her husband’s first cousin, Hermann Prielipp]. My Mom doesn’t think he ever used it that she could remember. 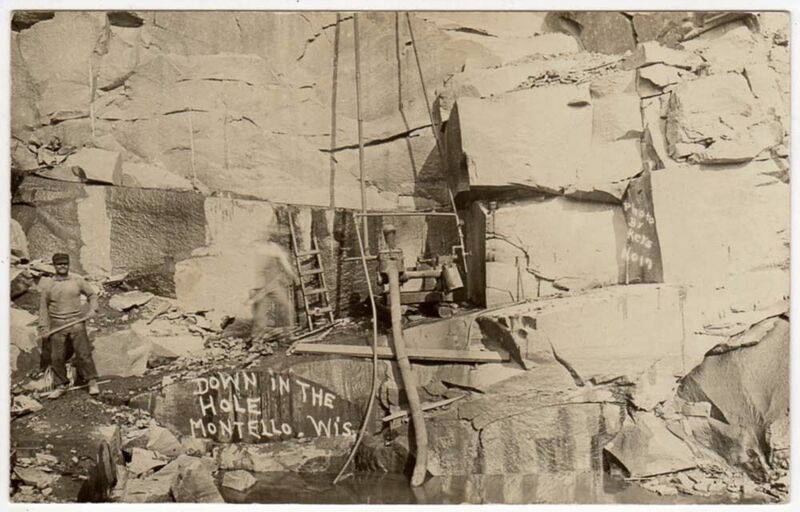 Among the collection of documents and photos cared for by my cousin Norma Bandock are three post-cards that were sent from Rothschild, Wisconsin to Montello, Wisconsin where the Zierke family lived. All three cards show historic scenes from Rothschild Park, which was just across Grand Avenue from my great-grandfather Edwin Schmidt’s home. I’m guessing that Billy Schmidt was given these postcards by the Zierke family, possibly when August Zierke died in 1955. The first one is from Edwin to his Uncle August Zierke promising to send more cards “like these of the park”. It was sent on 17 Sept 1908 when Edwin was 20 years old and August was 27. Neither men was married. August wouldn’t marry Emma Prochnow until the next year, and Edwin married Olga Hanson in 1911. The next one is from Edwin to his Uncle August Zierke, talking about the weather. It was sent at the same time as the first on 17 Sept 1908. The third is from Ella Barwineck, who was the daughter of Emma Zierke, so Ella was Edwin’s first cousin. 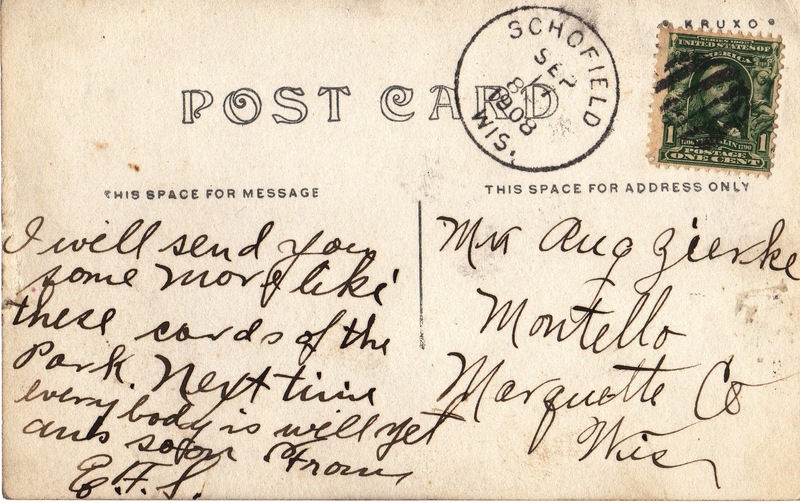 Ella and her family were living in Schofield, Wisconsin at the time this was sent. Ella’s father Albert Barwineck worked at the paper mill where Edwin Schmidt worked. The Barwineck family lived on Grand Avenue right next to Alvina Schmidt Mueller and Wilhelmine Winkelmann [Edwin’s aunt and paternal grandmother], and very close to my part of the Schmidt family who also lived on Grand Avenue. 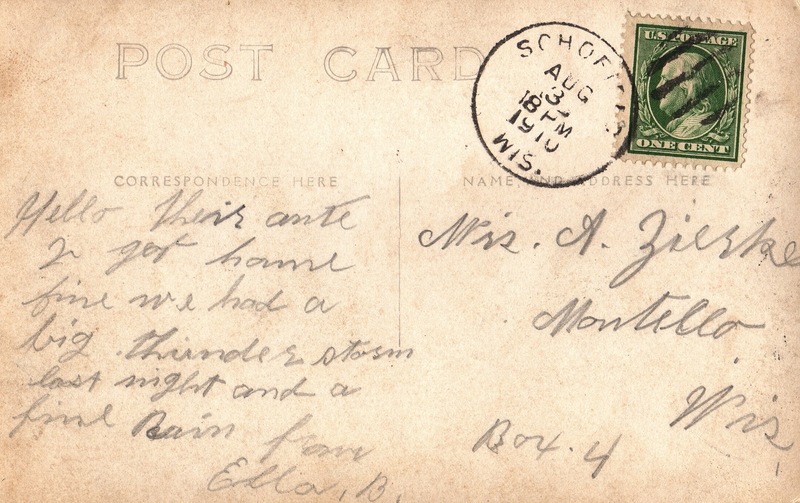 Ella was writing back to her Aunt [and namesake] Ella Prochnow Zierke (presumably after a visit in Montello) telling her they had arrived back home in Schofield, and describing a storm they had had up North. 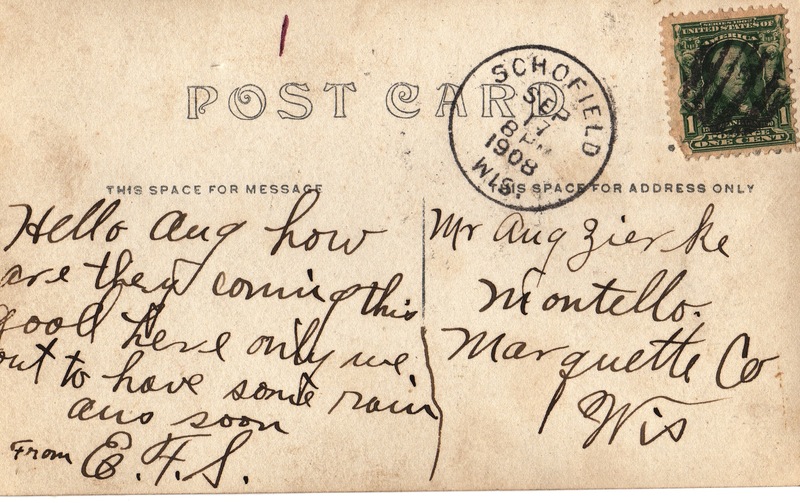 It was sent on 3 Aug 1910 when she was 14 years old. August Heinrich Zierke (1881-1955) was the brother of my great-great-grandmother Ottelia Zierke. I had been thinking about him recently because he was one of the sponsors on the baptism of my great-grand-uncle William Henry Schmidt. I also have scans of postcards sent back and forth between my great-grandfather Edwin Schmidt and his uncle August Zierke, so I know that August was in close contact with my family. I decided I really wanted to have a photograph of August, so I managed to track down one of his grandchildren, Fred Jones. Fred was quite kind and agreed to meet with me at his home. We spent a couple hours together talking family history, and he shared many great stories with me about his branch of the Zierke family. He also had a few wonderful photos which he allowed me to scan, so I thought I’d share them here. 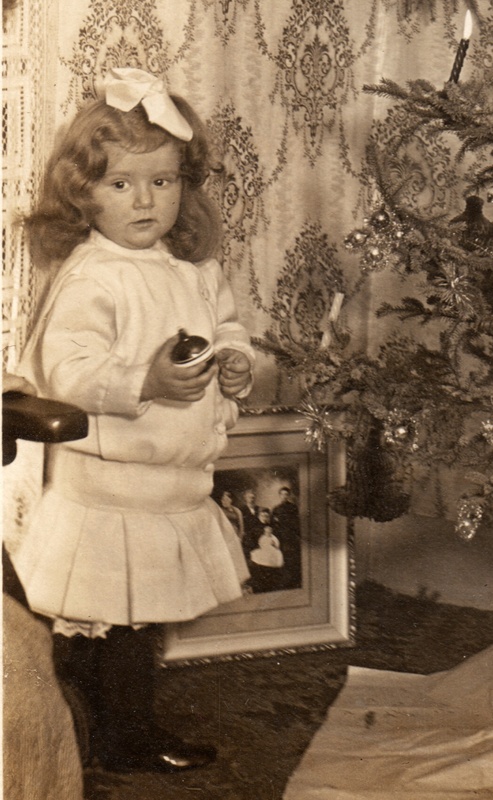 The first is a detail from a larger picture showing Fred’s mother Helen Zierke on Christmas Day about 1914. If you look closely behind Helen you can see this next photo on the ground. It’s a family portrait taken about 1912 right after Helen’s birth. It shows great-grandparents Bertha Zellmer Nickel & Fred Nickel, grandmother Ottilie Nickel Prochnow, mother Ella Prochnow Zierke, and Helen Zierke. This hand-tinted photo is from Helen Zierke’s marriage to Shirley Jones, taken about 1933. A four-generation photo. On the back was written: “Grandma Prochow, Grandma Zierke, Mom & Me”. 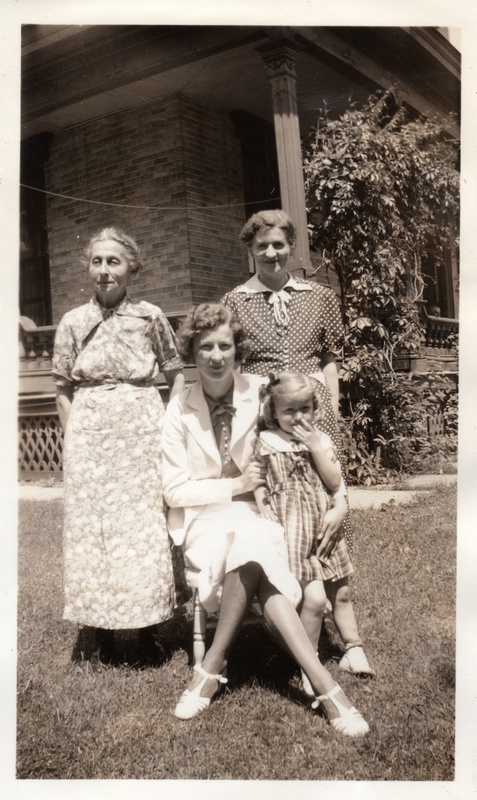 It shows Ottilie Nickel Prochnow, Helen Zierke Jones, Ella Prochnow Zierke, and Fred’s sister Janice Jones (l to r). My favorite of the bunch. 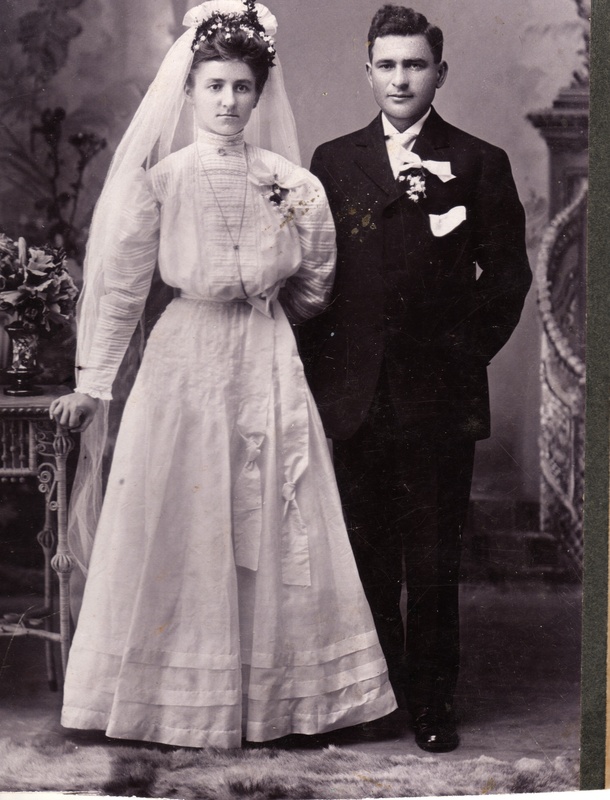 It shows Ella Prochnow and August Zierke on their wedding day, 5 September , 1909. William Webb was my 4x great-grandfather, and one of the ancestors of my paternal Grandmother, Mildred Jean Forrest. “Jean” Forrest’s grandfather was Samuel Robert Cairns (1862-1941). Samuel’s mother was Sarah Webb (b 1836). Sarah’s father was William Webb. William was born in Ireland around 1808. He arrived in Montréal, Québec, Canada sometime before 1833. He married Barbara Jane McKnight (1814-1872) at the Saint Gabriel Presbyterian Church in Montréal on 19 January 1833. She was the daughter of Robert McKnight and Elizabeth Hanna, and came from County Louth, Ireland. In his marriage record William is described as a butcher by trade. Witnesses to the marriage included Ruth McKnight (likely a sister of the bride), Mary Emeron, George Henderson, and James Webb [brother of the groom]. James Webb was born on 24 Dec 1833. He was baptized on 30 Jan 1834 at the Saint Gabriel Presbyterian Church in Montréal. Sponsors were Elizabeth McKnight and Sarah Davidson. He is listed as an “Engineer” and “Unmarried” in the 1861 census. 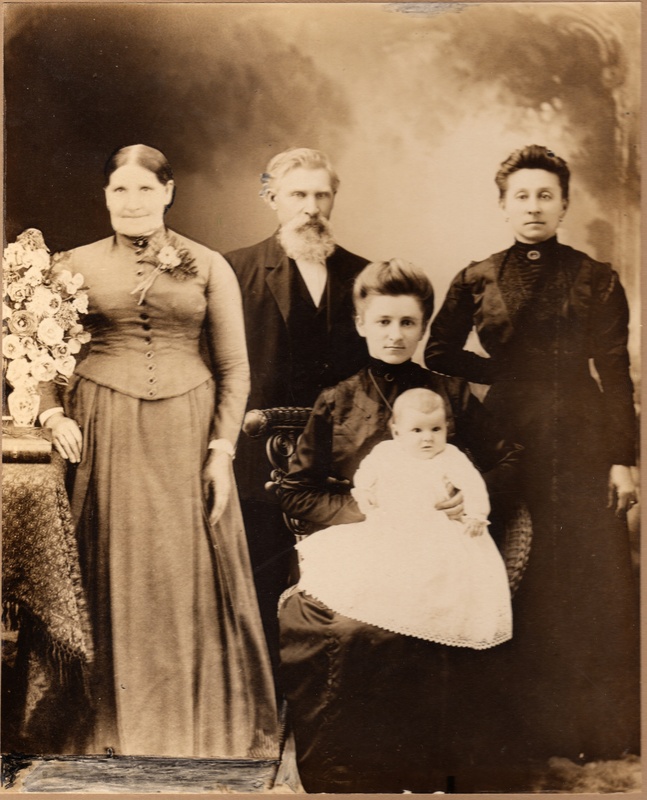 Sarah Webb [my 3x great-grandmother] was born on 9 Oct 1836. She was baptized on 19 Feb 1837 at Anglican Christ Church Cathedral, Actes. Sponsors were Martha McDowell, Barbara Webb, and Ruth McKnight. Sarah married Robert Cairns about 1860 and they had six known children including my 2x great-grandfather Samuel Robert Cairns who was born in Ormstown, Québec, Canada on 31 Oct 1862. Sarah and Robert lived in St. Malachie, Québec, Canada until at least 1891. Robert Ramsey Webb was born in 1839. For some reason his baptism record isn’t at Anglican Christ Church. In the 1901 Census for St. Anne Ward of Montréal he gives his birth date as 4 Nov 1836, which is obviously not right as it conflicts with his sister’s known birthdate. He married Mary Jenkins on 23 Dec 1859, and they had at least two daughters. In the 1861 census (where he is the head of the household after his father’s death) he is listed as a machinist. The same occupation is given for him in the 1871, 1881, 1891 and 1901 census reports. Robert died on 24 Jul 1908 and was buried in Mount Royal Cemetery of Knox Presbyterian Church in Montréal. William Henry Webb was born on 11 Feb 1840. He was baptized on 1 Mar 1840 at Anglican Christ Church. Sponsors were James Ford, Thomas Martin, and Jane Herde. He was single in the 1861 and 1871 census. He died in Montréal General Hospital on the 16th of December 1883 where his occupation was listed as “Machinist”. He was buried at the Presbyterian Saint Mark Church in Montréal. Henry Fredrick Webb was born on 12 Dec 1841. He was baptized on 15 Jan 1842 at Anglican Christ Church. Sponsors were Henry Fredrick Hanna [namesake], Elizabeth Hanna, and William Webb. Henry and Elizabeth Hanna were likely the aunt and uncle or cousins of Barbara Jane McKnight. Her mother’s maiden name was Elizabeth Hanna. Henry was in the 1860 census for New York City as a printer, and again in the 1861 census for Montréal as a printer with his residence given as New York. He married Martha Taylor about 1865 and they had five known sons. In the 1881 Census for Ottawa, Canada he is again listed as a Printer. Henry died on 16th of December 1914 in Carleton, Ontario, Canada of anemia and heart trouble. He was listed as a “Proof-reader” on the death record. Thomas Webb was born on 4 Nov 1843. He was baptized on 17 Dec 1843 at Anglican Christ Church. 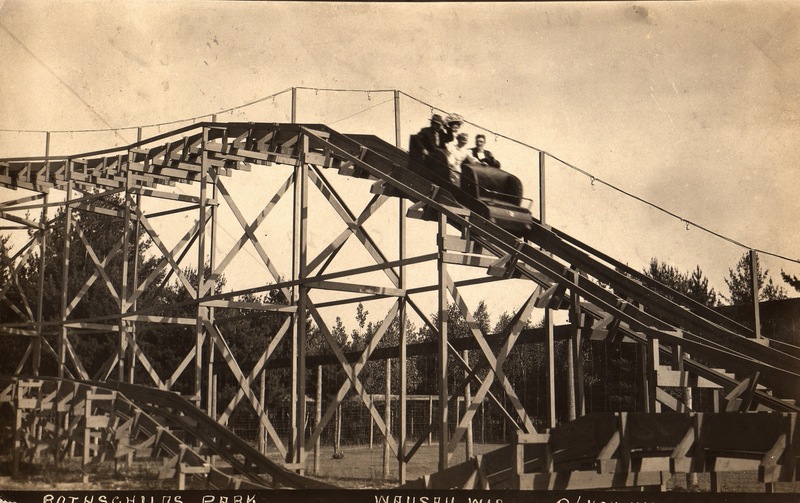 Sponsors were William Webb, Thomas Mullin, Margaret Haney, and William McKnight. He is in the 1861 census for Montréal with his family, then in the 1871 census for Ste-Anne, Montréal living with the family of Patrick and Elizabeth Ravey. He’s listed as a “Carter” and unmarried. Elizabeth Jane Webb was born on 15 Dec 1845. She was baptized on 4 Jan 1846 at Anglican Christ Church. Sponsors were John and Rosanna [Logie] Whelan. 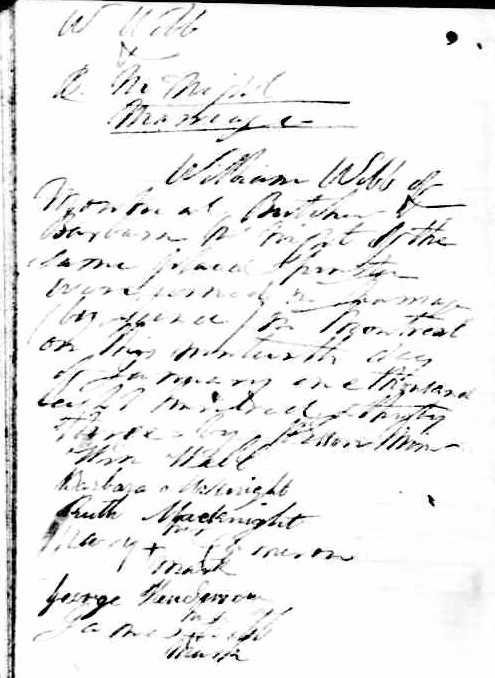 [William Webb was a witness on their marriage record from 2 Jun 1844 at Anglican Christ Church]. Unfortunately Eliza died on 7 Oct 1850 at the age of 4 and was buried in the cemetery at Anglican Saint Stephen Church on the 9th. Joseph Alexander Webb was born 15 Dec 1845. He was baptized on 19 Mar 1848 at Anglican Saint Stephen Church. Sponsors were William Webb, James Chapman, and Elisabeth Chapman. In 1870 he is living in De Witt, Iowa with the family of his soon-to-be bride Hannah Tanner. She was born in Hanover Germany. They were married in that place on 26 December that same year, and had four daughters. 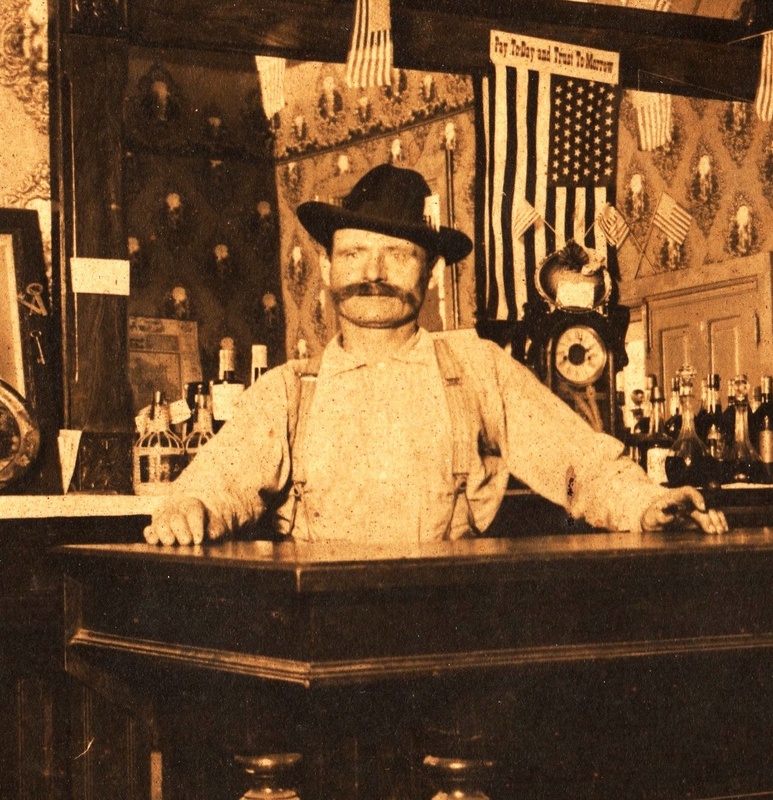 In the 1880 census he is listed as a “Clerk in Saloon” in De Witt. The family then moved back to Montréal where they are listed in the 1901 census. 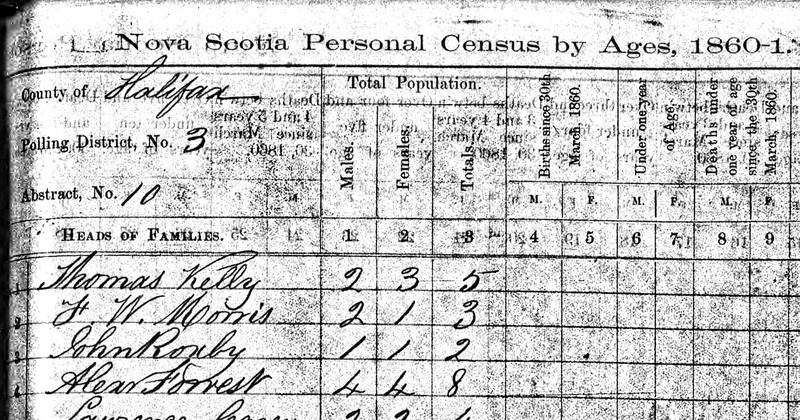 They moved to Québec City where Joseph is listed in the 1911 census as working in “coal”. Joseph died on 29 May 1922 and was buried at the Mount Royal Cemetery in Montréal. George Henry Webb was born on 29 Mar 1850. He was baptized on 21 Apr 1850 at Saint Stephen. Sponsors were William Webb, and two other names which are not legible. One looks vaguely like Lucy Bailey. George married Annie Brown in Carleton, Ontario, Canada on 1 Jul 1875. They had a daughter and four sons. George was listed as a “driver” in the 1891, 1901, and 1911 census reports for Montréal. William Webb is mentioned in every Montréal City Directory from 1842 (the first year of the directory) and his death in 1853. He is listed as an “Inspector” rather than a “Butcher” in the city directory. There is no William Webb listed among Butchers in the directory, so I assume this means something along the lines of “meat inspector” since all the baptism records list him as a butcher. You can see that after his death on 6 Apr 1853 his wife is listed as a “grocer”. 1842 Directory:"Webb, William, inspector, Wellington, near King Street." 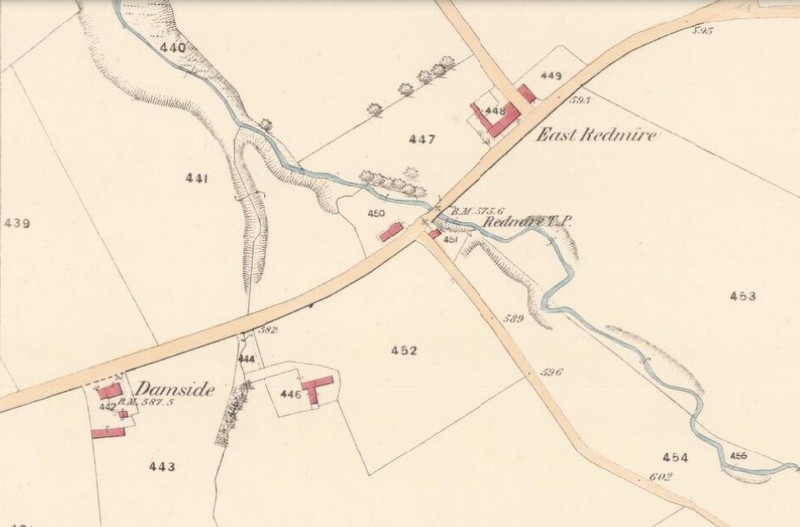 1843 Directory: "Webb, William, inspector, Dalhousie, near Gabriel street." 1851 Directory: Does not exist. 1852 Directory: "Webb, William, inspector, Murray near Gabriel". 1853 Directory: "Webb, Mrs. William, grocer, Murray near Gabriel"
William died on 6 Apr 1853 and was buried at Anglican Saint Stephen in Montréal. Thomas Webb and James Webb, likely his brothers and not his sons of the same names, were witnesses. After his death, his widow Barbara lived in a boarding house at 99 Wellington Street for a few years. Then in the 1861 census for Montréal she is living with her son Robert, his wife Mary Jenkins, and most of the family [James, William, Henry, Thomas, Joseph, George, and two other unidentified Webbs]. In the 1871 Census for St. Malachie, Châteauguay, Quebec, Canada, Barbara and her son William are living with her daughter Sarah Webb Cairns, her husband Robert Cairns [my 3x great-grandparents], and their family. Barbara McKnight died on 21 February 1872 in Ormstown, Quebec, Canada and was buried in the cemetery of the Wesleyan Methodist Church in Ormstown two days later. Her son-in-law Robert Cairns and George Moore were witnesses. 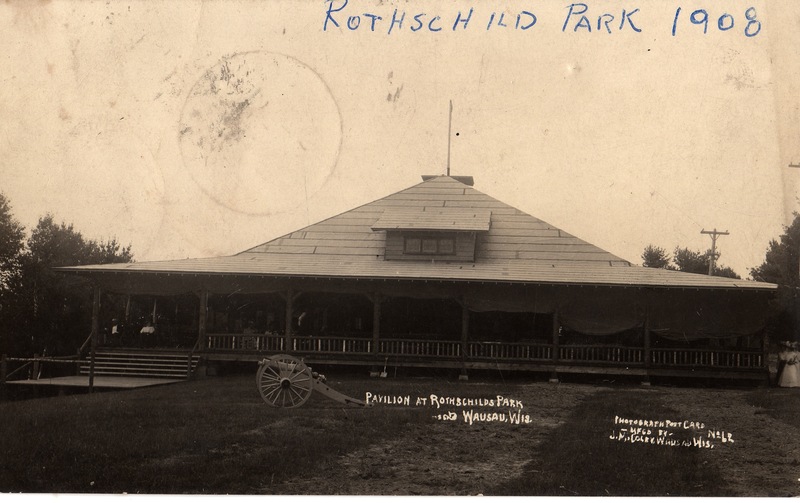 Sometime before the great depression the Schmidt family was living in Rothschild, Wisconsin on the land that they owned between Grand Avenue and the railroad tracks. 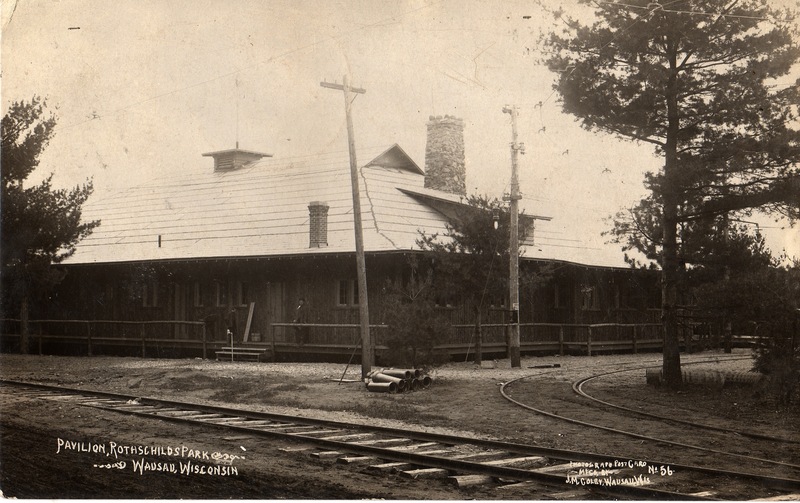 One of the problems was that “hobos and gypsies” would ride the freight cars and when the train slowed to come into Rothschild they would hop off right about where the Schmidt property was. It was a smallish farm that had some livestock and an orchard. These illegal passengers would go into the family orchard and steal apples to eat. Ottelia Schmidt, the matriarch of the family (who was said to rule the family with an iron fist), directed her husband, Wilhelm Schmidt, to set up a booby-trap in the orchard to stop the thieves. He did this by placing a shotgun in a tree and running a trip-wire that would set off the gun if someone came into the orchard. The trap worked, and one of these migrants was killed in the resulting shotgun blast. Wilhelm Schmidt was tried for this killing and spent time in prison as a result. 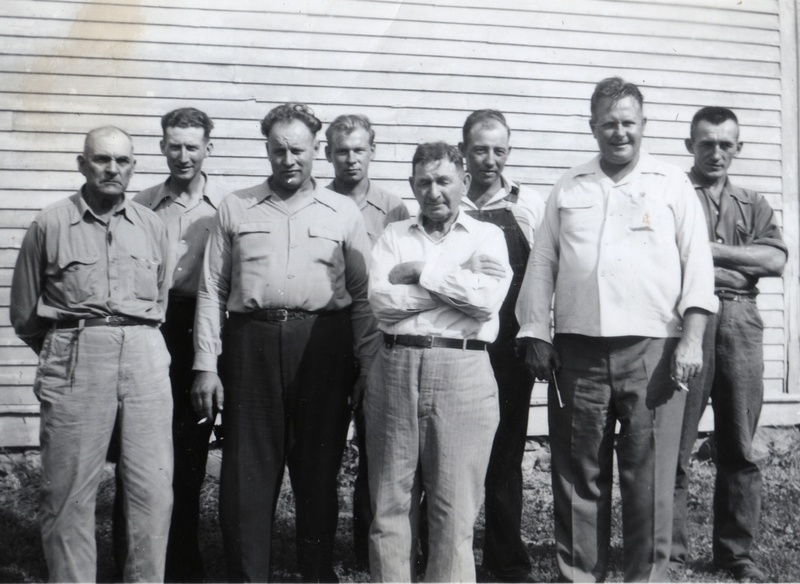 When I started researching my family I asked all the Schmidt descendants I knew whether they had ever heard the story, and all of them said they had never heard it. Given that we had good documentation on Wilhelm’s whereabouts from the time of his arrival in the US in 1885 until his death in 1925, I decided that the story must have been my grandmother’s imaginative fabrication. William Schmidt was my 2nd great grandfather. I was told this story from my Grandpa Schmidt, who was told by his father Albert August Schmidt. I’ve always assumed it to be true. I heard the story about the shotgun and the going to prison which might be why Nanny [Antonia] never mentioned him [Wilhelm] by name. Another Schmidt descendant who had heard the story said that it may have been a child who was killed. So now the story is once again on my radar. I’ve been told that the archives for Marathon County legal cases from the early 1900’s are located in Stevens Point, Wisconsin. The next visit my mother and I take to Wausau we plan to stop there and do some research and see if we can get to the bottom of this once and for all. Who Are the Parents of Jonathan Judkins? One of my roadblocks had been my inability to discover the parents of my 5x great-grandfather Jonathan Judkins and his wife Dolly Smith. I detailed the manner in which I combed through the census records for the town of Fayette, Kennebec, Maine to discover that it was fairly likely that his father was “John Judkins” listed in the 1800 Census for Fayette. The other pieces of the puzzle fell into place when I did a similar detailed analysis of the 1810 Census for Fayette, cross-referencing what I found there with the birth, death, and marriage records for Fayette. I was able to determine that my 5x great-grandfather’s parents were Jonathan Judkins Jr. (actually making my grandfather Jonathan Judkins III, despite his being listed as “Jr.” in the 1800 Census). His mother was Elizabeth Batchelder. They moved to Fayette, Maine only a couple of months later, and their first child, Elizabeth Judkins, was born in Fayette on 25 Aug 1777. She died seven months later on 7 Mar 1778. 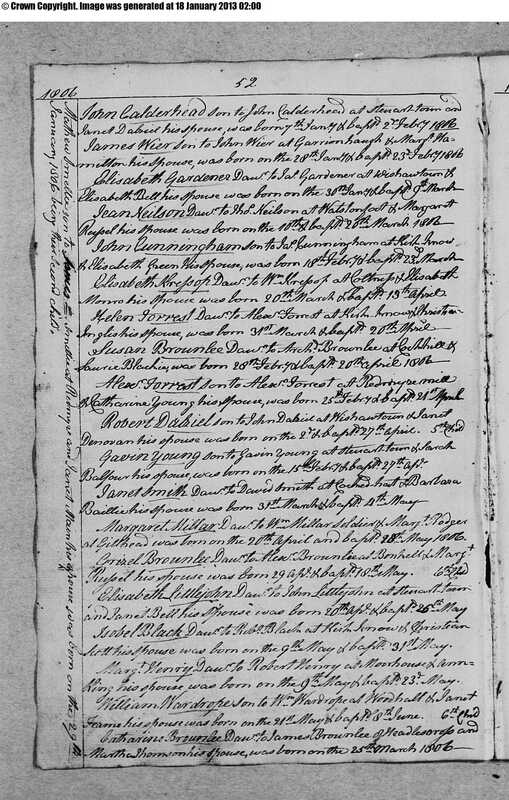 Other children followed: Stephen Batchelder Judkins was born 6 Jul 1779, my grandfather Jonathan Judkins was born on 9 Aug 1781, a daughter Esther was born on 10 May 1784, a son Elisha on 26 May 1787, a son Jesse born on 4 Jan 1793 [died 17 Sept 1793], and finally a daughter Mehitable born on 9 Mar 1795. I was also able to determine the entire immediate family of my 5x great grandfather. Siblings, aunts, uncles, grandparents, etc. And I traced his line back to the original Judkins immigrant ancestor, Job Judkins, who arrived in Boston in the 1630’s from England and was a sawyer there. 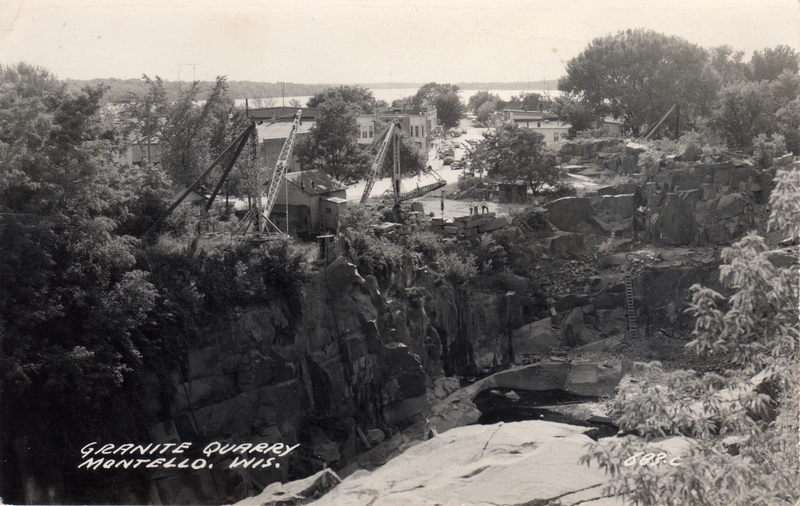 His son Joel, my 9x great-grandfather, moved to Exeter, New Hampshire, likely to pursue the logging trade there.